Robertson's Ma Made - just add sugar and water to make 6 pounds of delicious homemade marmalade. 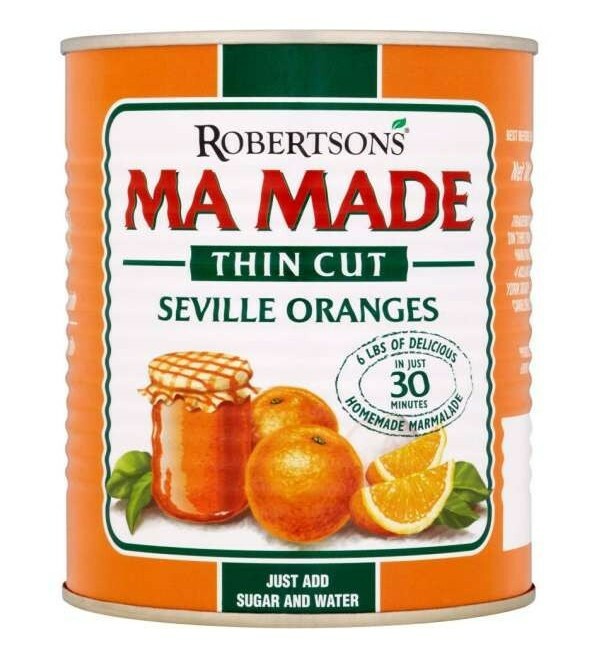 Made from choice Seville Oranges. Robertson's Ma Made - just add sugar and water to make 6 pounds of delicious homemade marmalade. 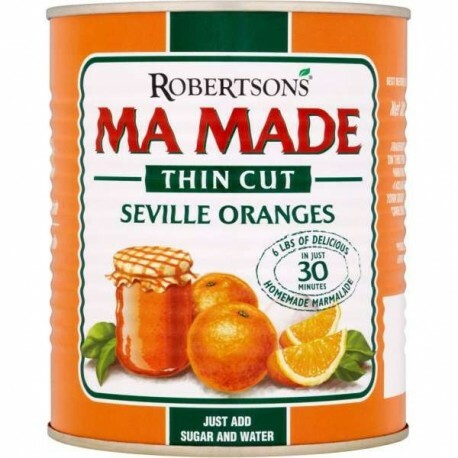 Made from choice Seville Oranges with no artificial colours, flavourings or preservatives. Produced in Spain for Chivers Hartley of Britain.